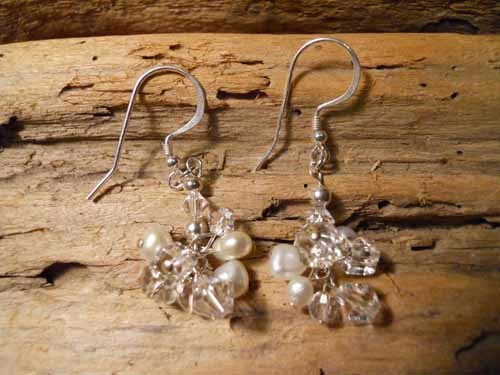 These graceful earrings are made of freshwater pearls, Swarovski crystals and glass beads. 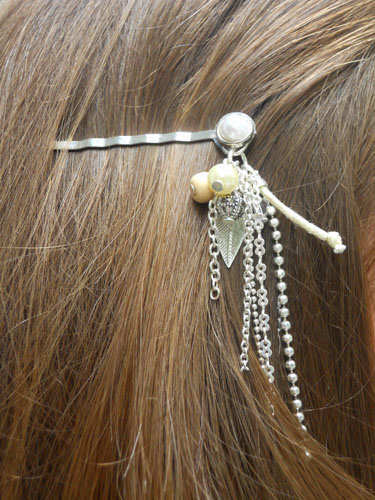 They hang from sterling silver french wires. 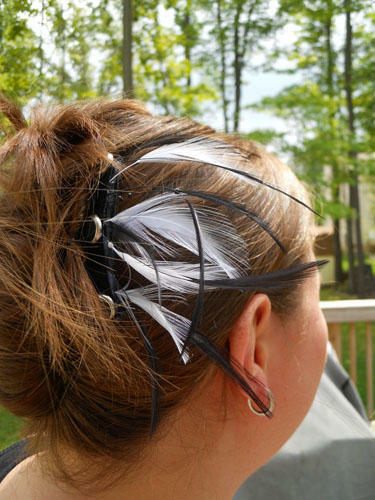 These earrings would be great for an elegant night. They measure approx. 1 ¾ inches.